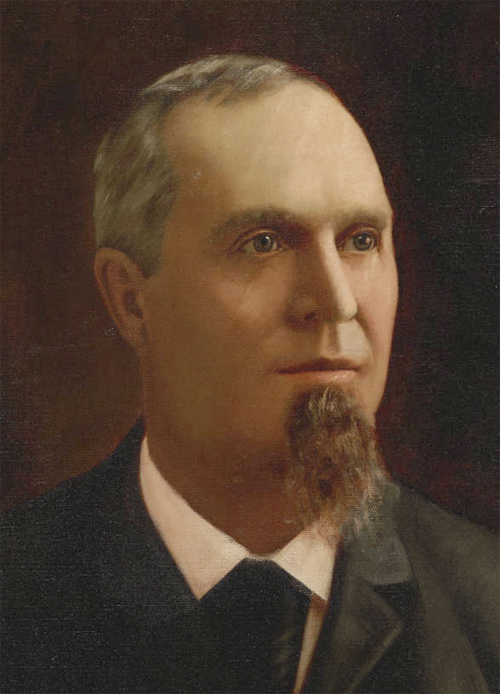 Considered a man of “great personal popularity and possessed of a strong spirit,” Democrat Marcus J. Davis (1841 – 1909) was born in Oswego County, New York, in 1841 and arrived in Duluth by 1874, the year he was first elected alderman. As did many other Duluth pioneers who rode out the Panic of 1873, Davis was involved in the grain trade, becoming one of the first commissioners of the Duluth Board of Trade; he was also an original stockholder in the Duluth & Winnipeg Railroad. When Davis became mayor in 1890, he and council president (and future mayor ) Trevanion Hugo completed the bond issue that would create Duluth’s first Park’s Board. Together, the two developed a reputation as reformers. One historian wrote that “Davis and Hugo early set themselves to purge the city of many of its former handicaps. They crusaded against all loose practices, brothels, and other places of bad repute and established what was then an early-closing ordinance, compelling saloons to close at 11:00 o’clock.” Davis’s obituary claims he was “the first mayor of Duluth to close the saloons on Sunday,” but that distinction goes to Mayor Clinton Markell, who shut them down in 1872 (at least temporarily). It also claims that Davis was the first person to bring the idea of an aerial transfer bridge to engineer Thomas McGilvray, showing him plans he found in New York for a bridge over the River Seine in France. Although he moved to Joplin, Missouri, in 1903, when he died his body was buried at Duluth’s Forest Hill cemetery.